Q: We have savings of $30,000 and would like to invest it. We do not have any debt other than our mortgage of around $150,000, with 12 years remaining on our loan. We have only one son who will go to college in summer of 2007. Our combined income is around $65,000 and we save $18,000 annually. Other than the retirement benefits we get from our jobs, we do not have any retirement savings (like Roth IRA or 401(k) plan). Our employers do not contribute for 401K. We are 48 years old. Should we open up a Roth IRA, invest in the stock market or buy a second home as a rental property? I am also interested in buying foreclosure, fixing property and selling it for a profit. A: You and your spouse are already saving more than 25 percent of your gross annual pay. That’s terrific, and I’m sure you have socked away quite a bit of cash since you’ve been working. Since it doesn’t sound like all this cash has been going into a retirement account like a Roth IRA, it could hurt you when your son applies for financial aid. Hopefully, he has received a full scholarship, or you and your wife have put away enough to pay his bills. My first suggestion is that you and your wife immediately begin funding Roth IRAs. That will allow you each to put away $4,000 per year ($5,000 each per year once you hit 50) and that money will grow tax free for your retirement. Cash in the Roth IRA accounts can be invested in stocks or bonds, individually or in mutual funds. And, if you happen to need to borrow money for your son’s college education (although it doesn’t appear that you will need it, but you never know), the money won’t be counted as part of the parental assets on the FAFSA form (the financial aid form). 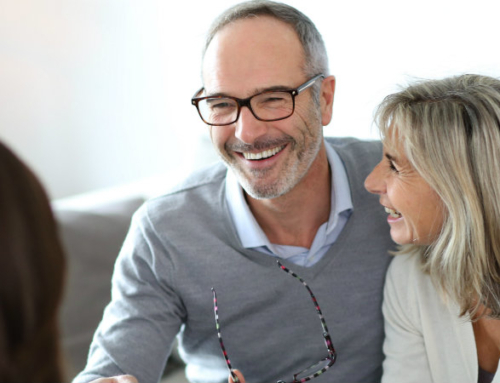 With the remaining savings, you may want to pay down your mortgage so that you’re completely debt-free when you retire. That will help your cash-flow position enormously. You won’t have to worry about making house payments.